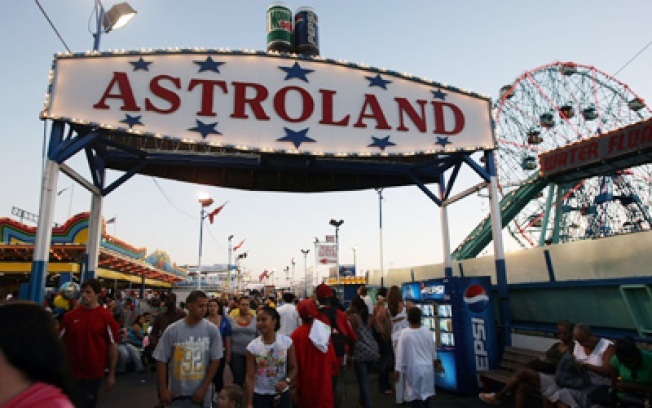 Astroland Park at Coney Island is one of the 20 New York institutions we're mourning as the year comes to an end. The end of the year is drawing near, and that can only mean one thing. Lists! Today we point you to one from the venerable Lost City blog, where they've rounded up the top 20 New York "landmarks, architectural and cultural treasures and just-plain-special places" that perished this year as stupidity development marched on. Big names on the list include much-beloved Meatpacking bistro Florent, Yankee Stadium ("the real one"), and Bleecker Street's erstwhile boho HQ Le Figaro Café -- whose coffee, it must be said, tasted like a combination of ash and crap run through a trouser sock, but that certainly never stopped other coffeeshops from making a killing off of it. And there are some quieter entries, too, like Harlem's M&G Diner, Montrachet, the restaurant that pretty much put Tribeca on the food map, and the WWII-era Pozzo Pastry Shop in Hell's Kitchen (which we refuse to call by its fancy new name, Clinton, not now, not ever -- that's the kind of abject silliness that gets these institutions to close in the first place). And then there are entries that just crack us up (e.g. Lehman Brothers). A moment of silence, please, for the full list.